Well, dear readers, today is my birthday. 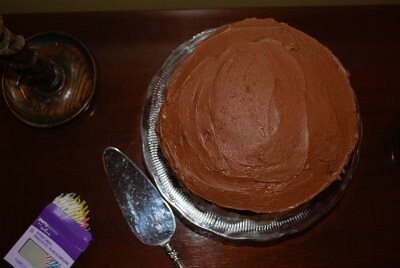 So last night, I found myself making my very favorite double-chocolate cake. We’ll have dinner tonight at my parents’ house and have this as my birthday cake for dessert. 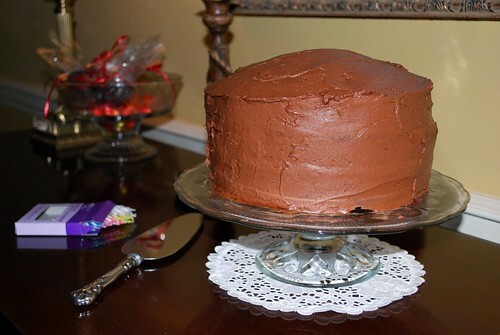 My mom or Nanny (her mom) will always offer, but for someone like me who loves to bake, it’s not a chore to make your own birthday cake – it’s fun!!! 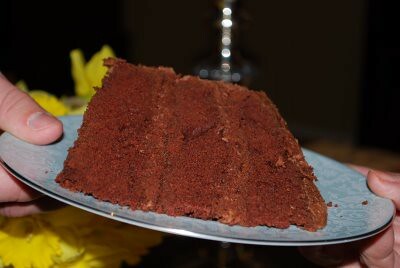 Plus, this is my very favorite cake to make – it’s easy, delicious, and super-chocolaty! The cake is light and fluffy, and the frosting literally melts in your mouth. What more could a birthday girl ask for? Preheat the oven to 350 degrees. 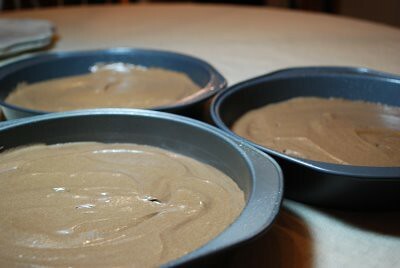 Spray baking pan, 13x9x2 inches, or 2 round 9″ layer pans, 3 round 8″ layer pans (as pictured here), or cupcake tins. Measure all of the ingredients into large electric mixer bowl. Blend for 30 seconds, scraping down the sides of the bowl constantly. Beat for 3 minutes on high speed, scraping bowl down when needed. Pour batter evenly into pan(s). 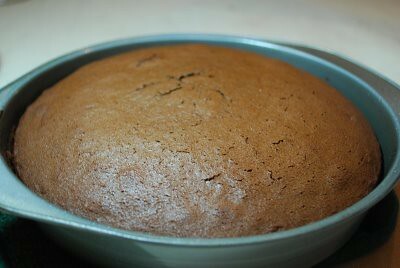 Bake oblong 35-40 minutes, layers 30-35 minutes, cupcakes 25-30 minutes. Or until wooden toothpick inserted into the center comes out clean. Cool completely before frosting. In a small electric mixing bowl, beat butter, half ‘n’ half, and vanilla until creamy. Gradually add the confectioner’s sugar, beating until light and fluffy. Add cocoa powder and blend until incorporated. Frost your cooled cakes as desired.